A classic tale in a new setting. This is a retelling of Othello, from the author of GIRL WITH A PEARL EARRING (which I also recommend). What I love about this is the setting: 1970s Washington DC. A haunting ending as you would expect! Arriving at his fifth school in as many years, diplomat’s son Osei Kokote knows he needs an ally if he is to survive his first day—so he’s lucky to hit it off with Dee, the most popular girl in school. But one student can’t stand to witness this budding relationship: Ian decides to destroy the friendship between the black boy and the golden girl. By the end of the day, the school and its key players—teachers and pupils alike—will never be the same again. The tragedy of Othello is transposed to a 1970s suburban Washington schoolyard, where kids fall in and out of love with each other before lunchtime, and practice a casual racism picked up from their parents and teachers. 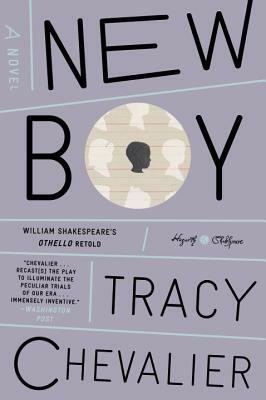 Peeking over the shoulders of four 11 year olds—Osei, Dee, Ian, and his reluctant "girlfriend" Mimi—Tracy Chevalier's powerful drama of friends torn apart by jealousy, bullying, and betrayal will leave you reeling. TRACY CHEVALIER is the New York Times bestselling author of eight previous novels, including Girl with a Pearl Earring, which has been translated into 39 languages and made into an Oscar-nominated film. Born and raised in Washington, D.C., she lives in London with her husband and son.